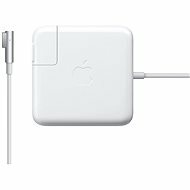 The Apple 60W MagSafe Power Adapter is, due to its miniature dimensions, suitable particularly for long trips and holidays. 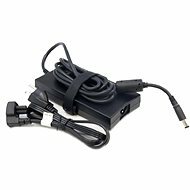 You can also use it as a second AC adapter, for example for charging at work, and keep the original one for charging at home. By doing so, you avoid carrying an adapter back and forth. The Apple MagSafe is equipped with an LED indicator that turns green as soon as you have a full charge. Furthermore, the adapter features a practical magnetic DC connector. In the event of an unintentional pull, the cable simply disconnects, preventing any damage to the power adapter or the laptop itself. For shipping to other EU countries visit this page Apple 60W MagSafe Power Adapter. 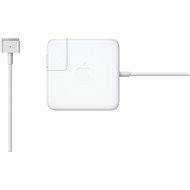 Für Versand nach Deutschland, besuchen Sie bitte Apple MagSafe Power Adapter 60W. Chcete doručit zboží do Česka? 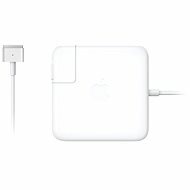 Prohlédněte si Apple MagSafe Power Adapter 60W. Chcete doručiť tovar na Slovensko? Prezrite si Apple MagSafe Power Adapter 60 W. Für Versand nach Österreich, besuchen Sie bitte Apple MagSafe Power Adapter 60W. Magyarországra történő kiszállításért tekintse meg ezt a termékoldalt: Apple MagSafe Hálózati Adapter 60W.